This report has two goals. First, improve understanding of crop acreages and water use in the basin. Second, having assessed irrigation methods and cropping patterns, develop a set of plausible scenarios in which some of the water currently devoted to irrigation could be conserved and used for other purposes without reducing the amount of land in production. 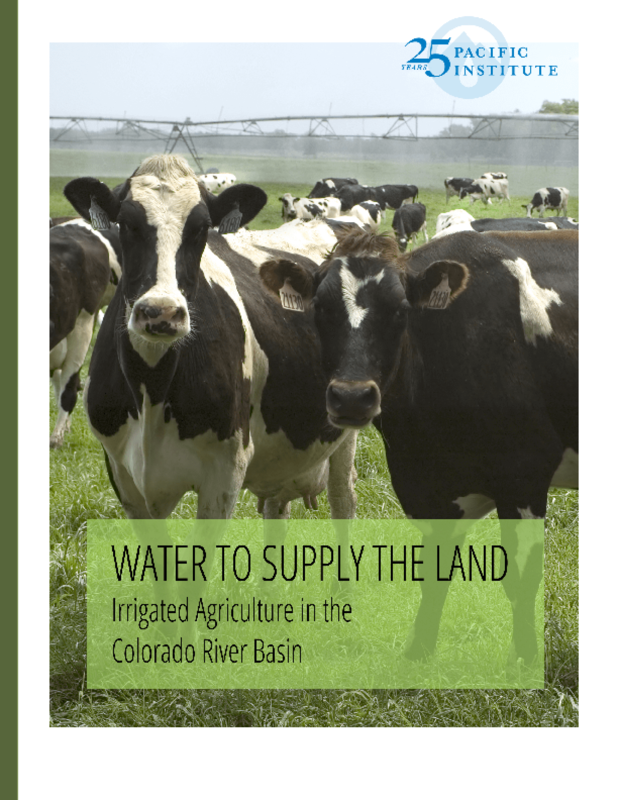 This report focuses on the last decade (2000 to 2010) and addresses land irrigated by Colorado River basin water, including water diverted from the river's mainstem, from tributary water, or pumped from groundwater in the basin. The report includes districts within the basin as well as those outside the basin that import basin water for at least a portion of their water supply and for which information was available. The data in this report come from federal and state sources, primarily the Bureau of Reclamation, the USDA/NASS Census of Agriculture, and the USGS estimate of water use. We performed no new measurements or surveys for this report.